It is winter in the United States and therefore very cold. Face-freezing cold. Long-underwear cold. And yet Baskin Robbins is out here boasting about their booming ice cream cake business. Who ARE you people? Bloomberg Businessweek reports that in the fourth quarter of 2014, "Baskin-Robbins same-store sales climbed 9.3 percent... with cake orders helping fuel the gain," 5 percent thanks to a new online-order option. 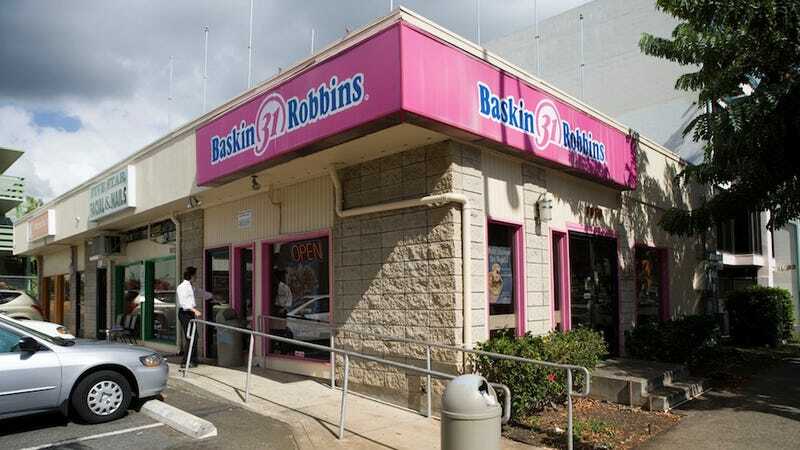 "It gave a halo to the whole ice cream cake category," Nigel Travis, chief executive officer of Baskin-Robbins's parent company Dunkin' Brands Group Inc., said in an interview. "It's very important in the U.S. — every kid's birthday has an ice cream cake." Don't kids understand the concept of a seasonal treat?